Each stage of parenting brings its own set of challenges. While in the midst of potty training, parents may think that nothing could be more difficult. Dealing with a pre-teen in middle school and all of the changes – both emotional and physical – those years bring can make it seem like the most trying period of parenting. Sending children off to college and having an empty space at the family dinner table can be traumatic for both parent and child. But for some parents, finding the right balance of care and concern versus respect for privacy and individuation can make the adjustment to being the parent of a young adult the most difficult experience of all. Young adulthood is a time of life that is not often discussed in regards to the parent-child relationship. Though there is discussion about boomerang kids who return home to continue to live with their parents and the repercussions that can have on the relationship between parent and child, when young adults go from college to work and find success and independence, it can bring myriad other issues that can have both positive and negative impact on the parent and child relationship. While many jokes are made about intrusive parents – the prying mother or the advice-giving father are just two of the stereotypes – this can be a serious problem that can drive a wedge between parent and young adult. Individuation is the process that occurs when a young adult grows into a separate self and defines who he or she is as an individual, different from how he or she has been seen as part of the family. It is essential that parents, in spite of their well-meaning concern and heartfelt worry and questions, give young adults time to figure this out for themselves. In order for individuation to occur, it's very possible that young adults will put some distance between themselves and their parents, no matter how close they may be. Distance doesn't necessarily mean moving out of driving range (though that is often the first step), but can also be done by reducing contact – fewer texts and calls, for example – or by keeping some information private - who they are dating, how much money they are making. Letting your young adult make mistakes without fear of criticism or disapproval is as important to their growth as individuals as it was, many years before, to allow them to have potty training accidents. No one learns anything worth knowing without a little pain and growth. It's very important that parents respect their young adult's boundaries. Follow the young adult's lead and allow them to come to you with information, rather than prodding them for answers or giving unsolicited advice. Figuring out their own values and tools for managing adult life are key to the individuation process and must be done without parental interference. It was fine for parents to declare "no tattoos" while paying for college, but if a young adult chooses to tattoo, criticizing or getting angry about it is not the parents best action. One of the biggest ways a young adult can individuate from parents is by creating a meaningful romantic relationship with someone else. Transferring loyalty and prioritizing someone else's needs over the parents' can be difficult for some parents to accept, especially if their feelings about the significant other are less than enthusiastic. This is one of the most important things that parents must stay quiet about. Unless the parent senses there is some harm being done to their young adult - whether physical or psychological - there is absolutely no reason to give an opinion - unless it's asked for. Even then, tread lightly with what is said to the young adult. If a relationship evolves into something serious, it's wise not to say anything that could indicate that the significant other is not quite what the parent would have chosen. 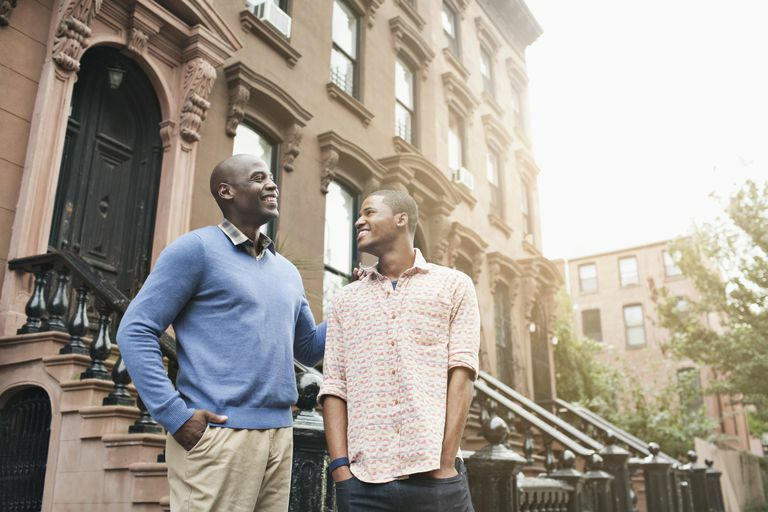 Chances are when the day comes that a parent meets the young adult's lifetime partner, there will be a thing or two that is not exactly what is expected—but that's ok. This is the young adult's decision, not the parents'. Financial responsibility is another important area of the individuation process. Parents will surely see their young adults making questionable decisions when it comes to spending their most-likely less-than-ample salaries. Weekend trips with friends, 60" HD televisions, expensive clothing or take-out food are just some of the things that young adults may choose to spend money on that will make a parent crazy with worry about their financial survival. Unless the parents are helping the young adult financially, it is not their place to criticize or disapprove. However, parents can make it clear that if the young adult runs into financial trouble because of their indulgent spending, the parents will not be able to fix their problem. Individuation and making boundaries come with some concessions on the part of the young adult, and parents must stay true to what they believe in this situation. From roommates to eating habits to career choices, young adults deserve the chance to figure it out on their own – while parents need to have their own limits and boundaries, too.